Bringing up Charlie: Great Dads Giveaway! I've got a couple of great giveaways (courtesy of Prezzybox) to celebrate Father's Day on Sunday. 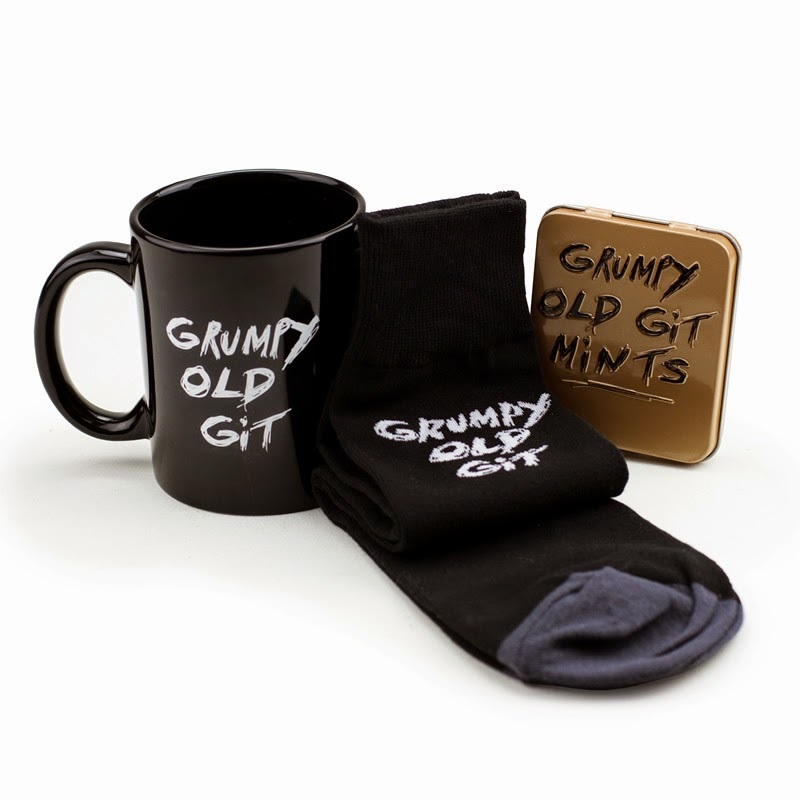 First, the Grumpy Old Git Kit which contains a fabulous mug, some warm and comfy socks (for those sandal days) and some delicious frresh-breath mints - in other words, everything that a Grumpy Old Git needs - as well as providing a warning for the people around him. The mug, socks and mints all have the words "Grumpy Old Git" emblazoned on them; so that everyone knows what's coming! 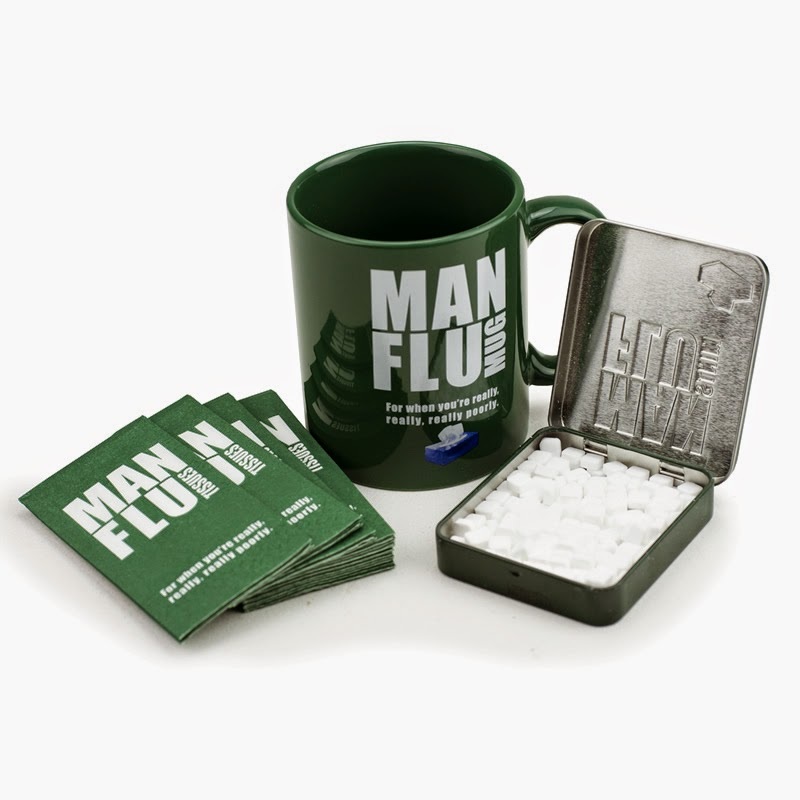 The Man Flu Survival Kit contains everything you needed to beat off that horrific cold… I mean, of course, flu bug. This is the perfect Man Flu Survival Kit for when his sniffles (and the man himself) get too much to handle – give him his kit and allow him to heal himself! There's one of each kits to giveaway. All you have to do is enter via the Rafflecoptor box below before the end of Father's Day. my husband is a grump so the grumpy old git one looks good for him! my partner is always moaning especially when he has man flu!! Because he is as grumpy as old gits come lol! Because my hubby never has a cold it's always flu, so I'm sure this would make him feel better. This prize sums him up and and he will love it, it will go well with his Mr Man Mr Grumpy mug that he already uses in the mornings when he's feeling grumpy! My dad mopes around all the time when he's got man flu! He is a grumpy old git but doubly so when 'ill' .. unbearable in fact lol.